With chunks of roasted jalapeños, Seattle Bagel Bakery Roasted Jalapeño Cream Cheese is jam-packed with flavor. While cream cheese is conventionally used to spread on bagels, we’re big fans of using this wonderfully creamy and spicy spread as a dip – perfect for game day. 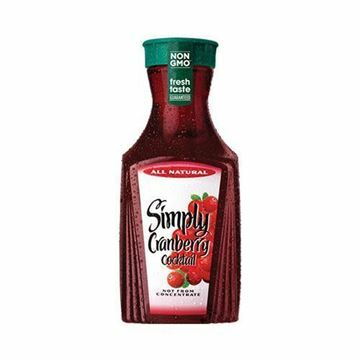 Simply Cranberry Cocktail Juice - 52 oz. Crisp and tangy cranberry juice delivered to your door. Dave's Killer Bread Good Seed - 27 oz. 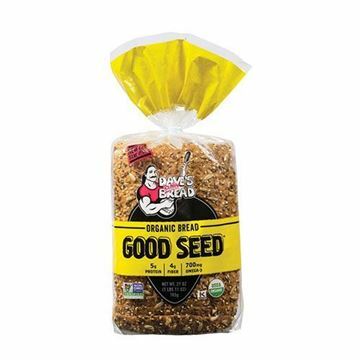 A loaf of organic bread with a sweet and hearty flavor. So creamy with hint of heat. Delicious will be trying all flavors. I really enjoyed this cream cheese, but hope that they will package it in something other than plastic. Like heat? Get It Here! I bought this Jalapeno cream cheese just to try. My advice is to buy it like I did and do not tell anyone in the house until you try it. You are going to want to stash it and not share. It is the best....if you like a little heat....get it.... If you like a lot of heat...get it. There are chunks of Jalapeno in it smothered with a creamy cheese like no other. I put it on toasted Killer Dave's Bread. No-I do not work for Smith Brothers. Just a happy customer.. 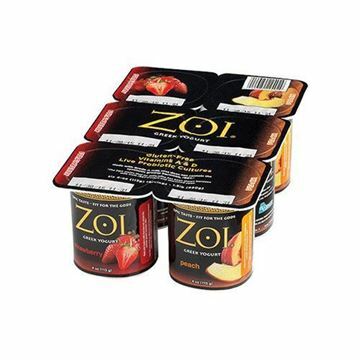 Seriously the best, freshest, perfectly tasting cream cheese... with that kick of spice that just tops it all off! I've never tasted cream cheese so fresh and good! Even a small amount leaves enough flavor in your mouth to make you feign for another bite... and another! I'm not kidding when I said, I won't be sharing this with anyone! Lol! It is so delicious. It's literally the best cream cheese I've ever had. This stuff is amazing! My family will be so sad if they ever discontinue it. Great on bagels.. I mostly eat it on a bunless veggie burger! !